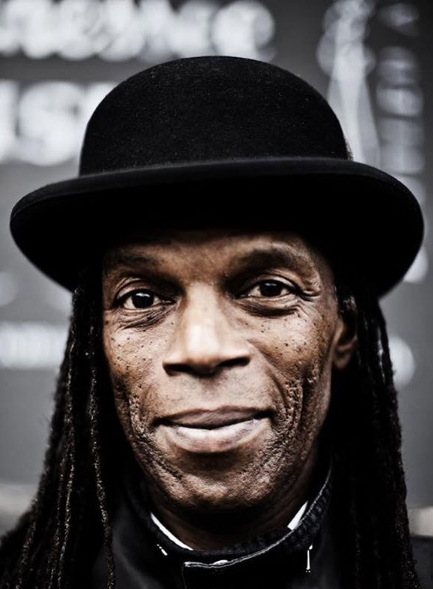 Roger Charlery, a British musician, better known by the name Ranking Roger passed away on 26th March 2019 fighting lung cancer and two brain tumors. He was a popular figure in the ’80s and ’90s as a vocalist for the band named The Beat and General Public. Before his death, Roger was working on a new album, Public Confidential, and released it in 2019. A British musician and vocalist for the band named The beat and General Public. One of the prolific figures in the Music Industry, Ranking Roger is no more with us as he died fighting lung cancer and two brain tumors. He died at his home surrounded by his family on Tuesday, 26th March 2019 as per the statement in Beat’s Website. In January, news broke out regarding Roger that he got diagnosed with two brain tumors and later lung cancer. Additionally, he suffered from a stroke last summer. The Beat singer did not give up easily and fought till the end but sadly could not overcome death. 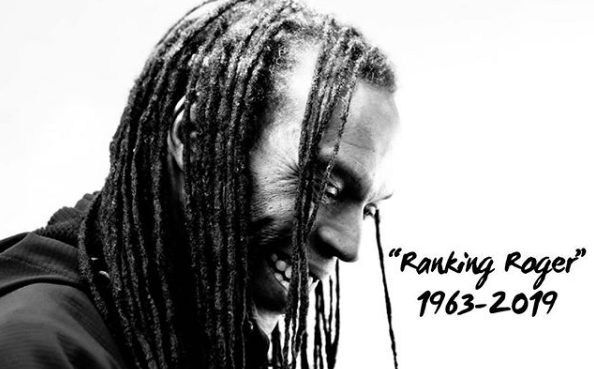 In his memory, several bands and musicians like Billy Bragg and UB40, a reggae band paid tribute to Ranking Roger. Back to his early life, Ranking Roger was born in Birmingham, West Midlands, England as a Roger Charlery. He was of British nationality and part of the West Indian descent. Roger grew up with his four sisters named, Sandra, Annie, Greta, and Equilar and with his half-brother, Kevin, and half-sister, Sarah. However, there are no details about Roger’s parental background and his education details. Roger began his career in the 1970s as a drummer for the band, Nam Nam Boys and went to gigs with The Beat and later officially joined the group. With the group, he released albums like Special Beat Service in 1982, Wha’ppen? In 1981 and “I just can’t stop it” in 1980. However, the group broke up, and Roger formed another band, General Public with Wakeling and Mickey Billingham. Also, Roger worked as a solo artist and released his debut album, Radical Departure in 1988 followed by records like Inside My head, Pop Off the head top and so on. Later in 2005, Roger reformed the band, The Beat with Everett Morton and his son, Ranking Junior. In the recent years, he was on tour with the band in different countries to promote two-tone music and their album, Bounce in 2016. As of 2019, Roger worked on his new album, Public Confidential which released in January but could not continue to appear in live events because of his health. Also, he wrote his autobiography which will release in early summer as per the Beat’s website. Later, in January 2019, Roger underwent treatment for lung cancer and two brain tumors and passed away on 26th March 2019. From his successful music career, Roger should have accumulated a massive net worth with all his albums and hit singles. Before death, his net worth was estimated at $500 thousand. Reflecting his personal life, Roger was in a marital relationship, but there are no details about his life partner except his two kids, a son and a daughter, Saffron Murphy. His son, Ranking Junior followed his footsteps and is an integral part of the group, The Beat and goes on tours with the band. Observing his body statistics, Roger stood tall with decent height and had black eyes with black hair color. Apart from this, there is no other information was disclosed yet. In the case of disclosed, we will let you know. Singer Sting, who did many live performances and recordings with Roger, wrote on Instagram: “The mid-seventies was one of the most influential periods in the history of British pop music. The merging of Caribbean rhythms and the tropes of the immigrant West Indian experience alongside young white bands struggling to find an identity in Thatcher’s disunited kingdom produced what would become the second wave of British dominance in popular music across the world. My friend Roger, as a founding member of the English Beat was at the centre of this febrile and explosive clash of cultures, uniquely placed to document the excitement of those times, the heady joy of success, the political turmoil, the inherent racism at all levels of our society as well as the brotherly bond of musicians struggling to make themselves heard within it. Thank you, Roger. You will be missed. On 26th March 2019, Roger was died in his home due to lung cancer and two head tumors. Before his death, Roger was working on a new album, Public Confidential, and released it in 2019.